With over 1.2 billion monthly users, WhatsApp is one of the most popular messaging apps in the world. 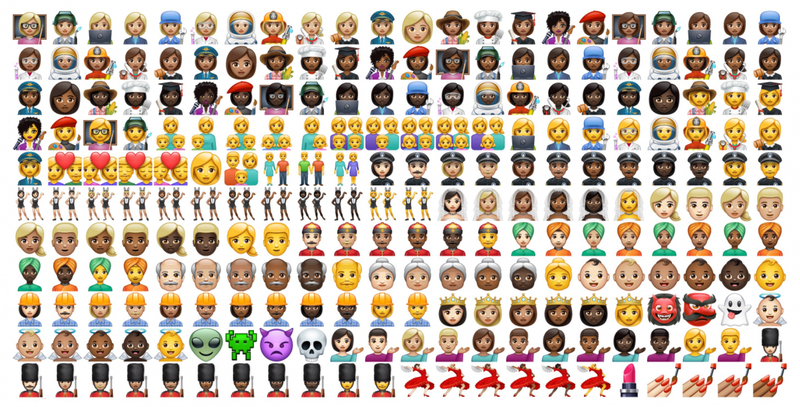 But it's only now that the company has decided to abandon its previously used Apple emojis in favor of its own custom set, which looks remarkably like the iPhone maker's. WhatsApp uses Apple’s emoji images in its Android, Windows, and web versions — not just in its iOS and Mac apps. But the Facebook-owned firm has just unveiled a new set of its own in the Android beta that was released yesterday, according to Emojipedia. Even though WhatsApp is moving away from Apple, it appears that its emoji designers took inspiration from the company. Most of the new images are extremely close to what came before, with many featuring only minor differences. The two bunny girls, for example, have slightly different outfits and standing positions, while some characters are dressed in new colors or, in the case of the ghost, sport what looks like a black eye. It’s possible that WhatsApp didn’t want to confuse users by introducing vastly different icons, but this is a beta version of the app, so there’s a chance that the emoji could eventually change before they officially launch. As WhatsApp adds its own emoji, that other Facebook-owned service — Messenger — is getting rid of them. 15 months after they were introduced, Messenger will soon discontinue its custom icons and start using the same emoji found on Facebook’s social network. Platform uniformity will appear for Messenger's Android and web users, while those on iOS will revert to Apple’s native emoji set.